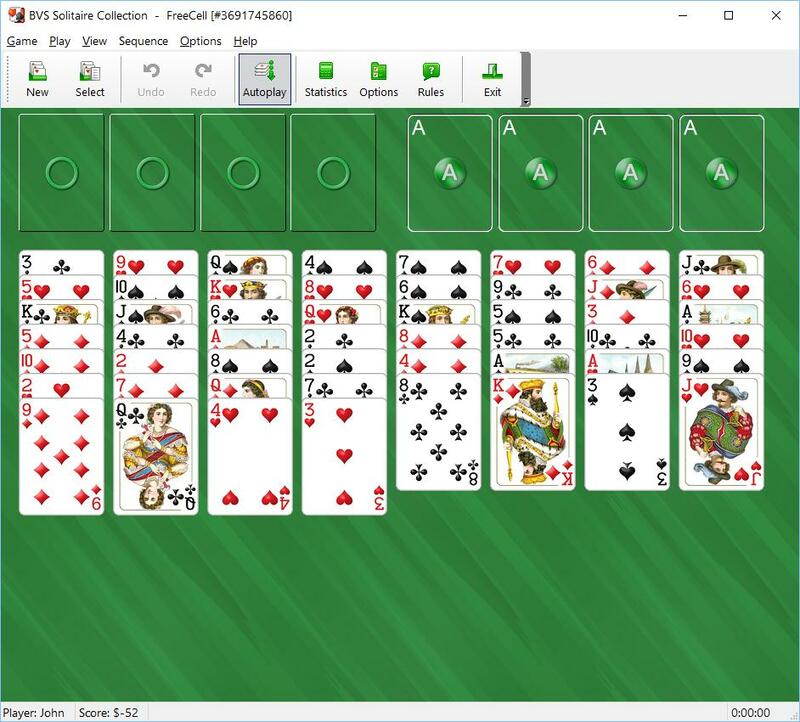 FreeCell Solitaire is an extremely addictive solitaire card game invented by Paul Alfille. It is fun and very skill-dependent. 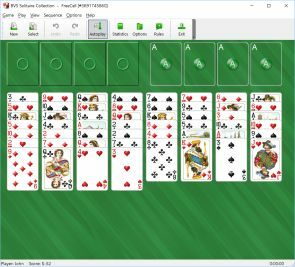 Nearly every game of FreeCell Solitaire can be won with perfect play. Only several FreeCell shuffles are known to be unsolvable. This makes FreeCell card game much more interesting and popular than solitaire variations like Klondike, where luck is a large factor in the game. With FreeCell, winning depends mostly on skill. You have a better chance of winning if you plan your strategy carefully. Below you will find some simple rules that can help you to win FreeCell on more regular basis. Examine the tableau carefully before making any moves. It is very important to plan several moves ahead. The obvious moves are not always the best. Make it a priority to free up all the Aces and Deuces, especially if they are deeply buried behind the higher cards. Move them to the home cells as early as possible. Try to keep as many free cells empty as possible. Be cautious! Once all free cells are filled, you have almost no space to maneuver. And your ability to maneuver is the key to this game. Make sure you have no alternative before placing any cards in the free cells. If it is possible, fill an empty column with a long descending sequence that begins with a King. Do not to move cards to the homecells too quickly. You may need these cards later to maneuver lower cards of other suits.